The fast-approaching secular year 2013 will mark the centennial of a modest building at 180 Stanton Street, on New York City’s Lower East Side, that houses Congregation Bnai Jacob Anshei Brzezan. 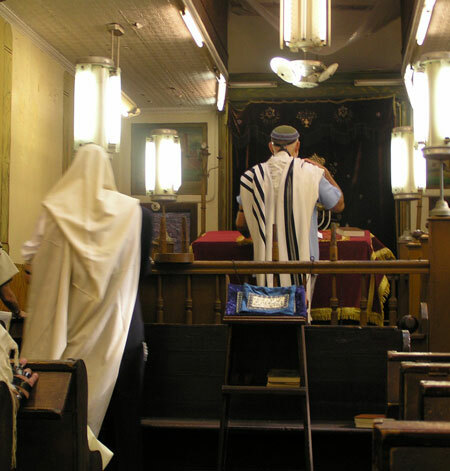 I first entered its doors and re-learned how to place tefillin on my arms and head in order to join the daily morning minyan on November 9, 1983. At that time the congregation was led by the Polish-born Rabbi Joseph Singer, who had already appeared as one of the heros of Paul Cowan’s memoir An Orphan in History. I didn’t walk into the building looking for a new fieldwork project, but I did keep notes about the morning minyan from that very first day. To no avail: the early word-processing program I used in 1983 is quite likely perfectly illegible today, even if I could find the eight-inch hard disk (remember hard disks?) on which I stored it. Perhaps—who knows—had I more diligently kept a minyan journal in the mid-1980s I might have completed my work with Rabbi Singer and his minyan decades ago, and moved on. Evans-Pritchard famously wrote that it takes a year or two years to get to know “a culture” fully. This formulation is characteristic of an earlier era that was confident in its ability to discern discrete and stable cultures, unchanging in their essential patterns and comprising a consistent cast of characters. To be fair to our professional ancestors, it may also have been a more appropriate prescription at a time when, even if it was not the case that most people only interacted with members of “their own culture,” more people were more clearly and consistently identified with one group throughout the course of their lifetimes. Be that as it may, I never spent a solid two years at Stanton Street—something impossible in any case, since of course no one lives there in any case. As it turns out instead, for nearly thirty years now I, along with my wife, Elissa Sampson, have been an on-and-off member of the daily, Sabbath and holiday gatherings at Stanton Street. The older congregation and Rabbi Singer were the subject of ethnographic essays I wrote as early as the late 1980s, but Elissa and I have spent more time there as “participants” than as “observers.” Indeed the term “participant” is especially pertinent here, since actual presence in the synagogue was, from the time I started going until organizational changes in the early 2000s, the only possible form of belonging. During those years, with the members of the immigrant mutual aid society Bnai Jacob Anshei Brzezan—all from the small town of Brzezany in Galicia—having long ago died or moved way, the congregation did not have any formal membership structure, and there was no legal way to “join” for anyone who might want to. In the 1980s, the congregation could still appear plausibly to me—and I could at that time still plausibly tell a selection of its stories in my ethnographic writing — as those of a stubborn vestige of the neighborhood’s immigrant history, but during the years its composition has changed dramatically, and a holistic narrative of cultural continuity is even less plausible than it may have been a quarter-century ago. Whereas Elissa and I were once among the youngest faces present, we now appear more in the role of “elders,” and not merely because we have aged. The congregation persists, and now it actually does have formal membership procedures, but the institution of those procedures is itself a mark of disruption as much as of continuity. Moreover, the average age of those present is decades lower than it was when Elissa and I started coming. Again, the oldtimers were almost universally holdouts who refused to leave the Lower East Side with “the rest of the Jews” (all of whom are, according to standard narratives of the neighborhood’s history, supposed to have departed for better neighborhoods decades ago, leaving behind nothing more than architectural relics); today’s members, by contrast, are likely to be young adult newcomers—and also quite likely to be gone in a year or two or three. In the span of slightly less than three decades, then, the world of the Stanton Street Shul has had many stories to tell. Perhaps most dramatic is the story of how it stopped being “Rabbi Singer’s Shul” and became just “Stanton Street–” but whether and to what extent that story is one I may ever tell hangs on yet another tale, one that I might just find time to tell you today. Each of these stories could fill a book. There is no room for all in just one book, and yet I did want to write at least one book about my shul. Despairing of the possibility of collapsing my impressions and experiences at Stanton Street over the years into a “static” ethnographic account of something that might be called the shul’s “culture,” I ultimately decided to present instead a quick-exposure snapshot. The resulting account, a book titled Mornings at the Stanton Street Shul, which has now been published, documents closely the life of the morning minyan during a twelve-week period in the summer of 2008. That was almost three years ago. Ethnography always seems to lag reality, even when the ethnographer attempts, as I very much do here as elsewhere, to avoid the temptation to freeze those about whom we write into what Johannes Fabian famously termed “the ethnographic present,” unchanging, remote from us and available for viewing, as it were, like some diorama in a museum of natural history. I therefore welcome very much the invitation to reflect on problems and possibilities of narrative in Jewish studies as an opportunity to think further on both the choices that led to the particular ethnographic strategy of trying to record a brief moment in the synagogue’s career, and on what’s necessarily left out of the book. Strikingly, only a few years later, although the shul survives and thrives, the rabbi is gone, several participants in that morning minyan are gone, and the minyan itself meets but rarely. The congregation thus presents a phenomenon of double transience: the passing of the immigrant generation and its replacement by a generation not of children but, as it were, of “grandchildren;” and the relatively short-term involvement of most of those grandchildren in the neighborhood and the shul. But beyond this piece, there will of course remain tales untold and tales yet to be told of both past and future things. The surprising survival of the Stanton Street Shul is at once a “great” story and one that does not exist without the teller, a story that cannot be told and, to be sure, one that I must acknowledge remembering only in fragments. Indeed, turning the ethnographic gaze on the ethnographer’s self helps avoid the temptation to picture her subject group as members of a static and unchanging “culture” (and it is this, at least as much as narcissism, that has inspired much of the “reflexive turn” in anthropology over the last few decades). The turn toward narrative ethnography has been likewise, at least in large measure, an attempt to return personhood and what we now call agency to those who for many decades of ethnographic writing were “subjects” only in the sense that they were subjected to the examination of professional ethnographers for what they might reveal of what we called their cultures, even or especially if they were unaware of the workings of that formation called culture. And thus it is no surprise at all that those among the first to call for the return of narrative to anthropology were also among the pioneers of its reflexive turn. I am thinking here of course especially of the late Barbara Myerhoff, who contributed to the landmark 1982 collection edited by Jack Ruby, A Crack in the Mirror: Reflexive Perspectives in Anthropology. Myerhoff–whom I described long ago as the mentor I was only privileged to meet on one occasion—stressed not only the moral importance of letting our interlocutors’ stories be heard; one of her wonderful methodological innovations as an ethnographer was the narratives she solicited through the “Living History” class she taught at that now-famous Jewish community center on the boardwalk in Venice Beach. Oh, when I was doing my fledgling study of Polish Jews in Paris, dutifully translating my interviews from evocative Yiddish into standard English, how I envied her the richly evocative Yinglish she gave us in quotation marks attributed to her pseudonymous and, as it now appears, sometimes composite “elders.” But more than I envied Myerhoff’s freedom to present her interlocutors in the words that they spoke, I was convinced by her analysis that, like her California immigrants, those I met in Paris likewise needed, at the end of their lives, to possess something like a coherent story that they could then convey to others as well. In my own group portrait of the Paris Jewish immigrants, then, I took the task of creating something like a composite generational narrative as my own, and I accepted the challenge of presenting the series of catastrophic and foundational disruptions—World War I, Communism, emigration, World War II, Communism again and its disillusion–that marked their lives, while granting those lives the dignity of some retrospective coherence, as my absent mentor Barbara Myerhoff firmly insisted in my mental ear. So it was no stretch for me to imagine writing an ethnography of the Stanton Street Shul in narrative form. I would have liked to tell it as a triumphant story of both architectural and cultural continuity in the face of the decline of urban centers followed by the leveling pressures of gentrification. And I felt no qualms in placing myself and my perceptions at the center—myself because I am as much a “native” there as anyone else; my perceptions because those are always the primary data of participant-observation ethnography. But still, could I not have done so, perhaps equally well, by telling the stories of others who have known the building at least as long as I? I read that sentence to you now, and I continue reading to you now: yet I write that sentence, and I stop, and I step out for a moment into a sky of Carolina blue, and I reflect: “What claim is made (what chutzpah!) to purport to tell, in a paragraph or two or a page or two, ‘the’ story of any one life?” As Edmond Jabès long ago pointed out precisely in objection to this “page or two,” “Yes, but there must be more.” The life is never told in full, even if we purport to tell its story, even if we are the one whose life is thus purportedly told. On the other hand, if you will( and as you very well may), what chutzpah to spend of my precious time before you on such narcissistic natterings. And so I will proceed after observing, for the record, that a recorded life is always just one or a selection of the stories that might be told about a person. . .
Is that paragraph better than silence? Bennie Sauerhaft—his real name—comes to mind first, the president for life of the Stanton Street Shul and, in fact, a prominent figure in my ethnography. Bennie is, in fact, one of the two characters in Mornings at the Stanton Street Shul–other than assorted rabbis, whom I deem for better or for worse public figures in any case—whose identity is not disguised by a pseudonym, precisely because I want this book to stand as a record of his life, but only in advanced old age, as Bennie was already well over 90 in the summer of 2008. I know, and I might not have written all this in the book, that Bennie was a kosher butcher, who commuted to work on the Upper West Side until well in his eighties (and therefore not a regular member of the morning minyan in the first years I attended); a native of the Polish city of Lancut, and longtime president of the Lancuter Society (of which perhaps three members remain); not, in fact, an ally of the late Rabbi Singer in the synagogue’s politics in bygone days; in general, a shtarker. . . But that is not even a sketch, and though Bennie is still with us now, I fear that by the time I might find the time, it will be too late to learn much more. You will meet him as he is, or at least as he was a few years ago, in my book; but you will not know who he was as a child, how he came to America, nor the seemingly endless years of caring for an elderly and invalid Sylvia. A second life story I might turn to, if only because its intertwining with the many stories of Stanton Street is much longer than mine, is that of George (nè Gedalya, and still Gedalya to many of us) Getzler. He, too, will appear under precisely this “real” name in my book so that he may be properly honored, and no, I haven’t asked his permission. I don’t think he’s going to sue me. Gedalya survived the war and after, by luck, by his wits and by his toughness, in Soviet labor camps: he has stories that would make your hair stand on end, but I do not know most of them. Gedalya owned a hardware store in the neighborhood for decades, and has always had strong opinions about the money spent and the methods used in the various and sundry efforts over the past decade aimed at renovating the old and cranky building. He injured his back months ago, and I have not seen him since, the mitzvah of bikkur holim, visiting the sick, being one that I do not undertake readily on my own and that the loose association of Stanton Street members has no means to enforce on them. I should go see him: to mention that would be an unacceptable indulgence, a mere personal aside of no bearing, but I make it because telling even this little fragment of Gedalya Getzler’s story reinforces the sense of moral obligation, and thus in a weak sense at least imposes on me the obligation, of at least attempting to be mevaker khole. Much harder than a visit to a sickroom would be the challenge of approaching, for the sake of appeasement, a party that I have no doubt continues to feel itself injured by the way its long association with the Stanton Street Shul ended. That party is the family, both immediate and extended, of the late Rabbi Joseph Singer. In brief—not legal brief, for the sake of clarity, and this is not a mere play on words for many years ago I did write a legal brief in this matter, and it was in opposition to the Singer clan—the beloved Reb Yosl Singer, a modest and distinctly old-fashioned Hasidic rebbe of the serve-your-congregation type as opposed to the let-them-serve-you type, a tzaddik if I may be permitted for once the presumption of declaring who is indeed a saint among the Jews—Reb Yosl Singer or his family decided a little over a decade ago that the congregation was declining and it was time to sell. So they sold; that is, they entered into a contract to sell the building, and the only way the attendees or participants in the regular services (remember, there were no “members” then in a legal sense) found out about it was when one of us received a call from the state Attorney General’s office to check on the claim, made in the papers requesting approval of the sale, that there was no longer a daily morning minyan at the shul. Well, the claim might have been technically true, because we occasionally failed to gather a minyan; but it was fundamentally… not so true. Here I must indeed provide only a sketch of a tale, and that not only because the facts, as always, are complex and more murky than either side wanted to admit at the time, and not only because my time before you now is short. I was placed, as part of the outcome of the court case that followed this contract of sale, under a sort of judicial interdict, one never set clearly in terms of its boundaries or duration. 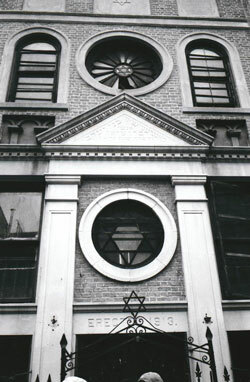 For I am have been not only a participant and an observer at Stanton Street, but also one of the attorneys for those attendees who, in the process of resisting the Singers’ attempt to sell the building, actually became a new and formal congregation, though still under the name of Congregation Bnai Jacob Anshe Brzezan. The court transcript of two live hearings held in the course of the dispute is, as I have suggested elsewhere, a rich primary source in itself; but from it one would not know of the interdict to which I have just referred. 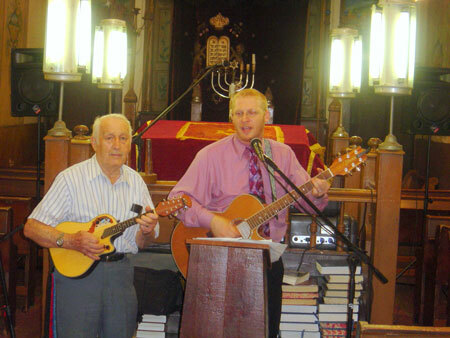 By the end of the second hearing it became clearer and clearer to the parties and to the special referee, a judge known for his prior rulings on synagogue sale disputes and brought out of retirement to hear our case, that the Singers had failed to meet the legal requirements for sale of real estate belonging to a religious corporation in New York State. The referee pressed the parties to settle, and we came to an oral agreement in court, but in addition the referee placed both parties under a sort of “gag order” not to discuss the case. Asked for clarification, he added, “I do not want Rabbi Singer’s name sullied.” Until now today, and in my mentions of Rabbi Singer in Mornings at the Stanton Street Shul, I think I have been careful to observe that stricture, as much out of love for Rabbi Singer as fear of state law. But, to be sure to remain lifnim mishuras hadin, I suspect the story of the legal dispute over ownership of the shul is one I will never tell in more detail, indeed—in part precisely because one could never be sure to have told it “fully.” Shortly after, Rabbi Singer moved away from the Lower East Side to live with family members, and I have not spoken to any of them since; although once as the matter was in legal process a son-in-law with whom I had previously had a friendly acquaintance called me at home, asking without malice “Did you try to call me?” (I had not)—and at the end of the concluding hearing the same person approached me in the courtroom to assert, “I assure you, selling the shul was his [that is, Rabbi Singer’s] idea; he decided it was time to close up. We [that is, the family] were absolutely shocked; we were sure that he was going to leave that shul horizontal.” I wonder now, for the first time and almost a decade after all these things, whether I could speak to any of the Singers again about their zeyde’s legacy. I would like to; I would like to know more about him and I would like to tell you more about him, as well. Let me share just one anecdote about Rabbi Singer. I do not remember if I have written it elsewhere; I know I have told it countless times but I surely have not told it to you. One Friday evening decades ago, when my own love for Rabbi Singer was still new, I passed through the lobby of our Lower East Side apartment building on my way to shul. A young man in the building whom I knew to be studying for conversion to Judaism asked where I was headed, and ended up accompanying me to Rabbi Singer’s shul. As it turned out, we were the ninth and… the tenth, though in conventional Orthodox shul parlance he was at that time neither a “man” nor a “person” for the purposes of constituting a minyan. I approached Rabbi Singer and discretely explained, “This person wants to convert,” to avoid misunderstanding and to avoid shaming my companion. But the others didn’t know we didn’t have a minyan. Rabbi Singer stalled, waiting for a tenth male Jew to arrive while the crowd became increasingly restive: “Come on, let’s daven already! I want to go home and have supper!” No one else walked in, and eventually Rabbi Singer said, “Okay, let’s daven—” pretending that a minyan was indeed present rather than transgress the prohibition against shaming the convert, here in fact a potential convert. There are many others, then, who have compeared at Stanton Street in the intervening years, or who first showed up in the few years prior to the controversy over sale of the building and have since moved on. That they are not there now hardly means that their time in Stanton Street was not crucial to the possibility, always and still tenuous, of the building’s continued life: they are links in a chain, albeit links of incommensurate sizes, clashing styles, difficult to clasp together and sometimes all too easy to break. Alas that I did not keep my journal throughout! (I have always defined fieldwork not by where I happen to find myself, since my “field” has often as not been mere blocks from my home, but by whether or not I was keeping a journal.) Or, alas that I have nothing like a photographic memory (Elissa will recall much more of those times than I, but she has a different shlikhes, another mission). By the summer of 2008, the time I did document in a diary, we had once again had a rabbi for almost two years, and things had settled down somewhat—though I trust readers will find the goings-on even at that time sufficiently idiosyncratic, and I’m not sure that Rabbi Pollak ever quite comprehended that things could have been more anarchic before he came than during his first months there. But if that summer is worthy not only of being recorded but of having its story published, by what justice do the years before remain a matter for the haphazard fates of individual and fractured memories? These intervening years when the shul was rabbiless or—as I have termed that period in tribute to Georges Bataille—“acephalous,” will have to be represented here by the presence, frequent, striking yet transient as it turned out, of a number of young male Hasidim from Williamsburg, drawn either by curiosity about a shul that somehow remained within the boundaries of Orthodox standards yet otherwise offered them exposure to a decidedly un-Orthodox crowd of male and female young adults, or by the vague hope of someday being able to do some real estate speculation on their own, or a combination of these two motives. The image of their presence during that period that is most firmly engraved in my mind came on a Purim evening, when one of these young Hasidim joined our hired musicians, the Village Klezmer Quartet, in singing the (neo?) Hasidic song of longing for meshiyekh, the one they call shnirele perl: “Oy, oy, dos iz vor, meshiyekh vet kumen hayntiks yor.” Somehow, when or by the time young Rabbi Pollak came to serve the congregation in the fall of 2006, these Hasidim had disappeared. Two years later, at the time I did finally take the congregation’s snapshot, Rabbi Pollak was getting ready to move on in turn. Over the years since 1983, then, it has become clear to me that the shul has been peopled by several casts of characters with a wide range of cultural orientations. These “casts of characters” are not generations; it clearly no longer makes sense to speak of them, even in rough and general terms, as, say, the “fifth or sixth generation” of descendants of immigrant ancestors. Nor are they, in the somewhat more precise term suggested by Tamara Hareven, “cohorts—“ that is, groups of individuals of roughly the same age and marked by the same external, historical events in basically the same ways. It may fairly be generalized that the immigrant generation is almost entirely gone at Stanton Street (with the exceptions of Benny Sauerhaft, Gedalye Getsler and Gedalye’s wife Irene)—but only if we retain unreflectingly our common usage according to which “immigrant generation” refers only to the wave of Jewish arrivals from Eastern Europe through the early decades of the twentieth century, for over the last few years, one Israeli in particular has become an indispensable stalwart of the Stanton Street minyan. I will not claim that the book I did manage to write satisfies the desire I have to paint that full-length portrait, but I hope I’ve explained enough on the image of a shul that wouldn’t sit still. I have tried to offer glimpses of the multitude of other stories that could be told of my years in the shul since 1983, some only dimly remembered, nearly all, it seems, ultimately destined for oblivion. Let this piece thus stand as a spectral reminder of the background of lost plenitudes against which ethnography stands as a highly “retouched” foreground. But I cannot quite conclude on that note, for there seems at least a risk that such a formulation of the problem constitutes little more than yet another re-inscription of the perennial Jewish poetics of loss. Against this, it is worth recalling in Mornings at the Stanton Street Shul is, aside from recording what happened every morning, weekday and shabbes, and aside from the occasions for commemoration of earlier moments and departed individuals, I tell the story about the search for the shul’s next new rabbi. Now a minyan gathers around him on Friday nights, and it is never quite the same crowd as it was a week before, and some of them are there for him, and some of them are there for the shul, and some of them are there for each other. I don’t know whether I will ever get to take their snapshots or tell their stories, but why not come to Stanton Street yourself sometime and meet them? After all, the best reason why the stories are never all told is that new ones are always being created. 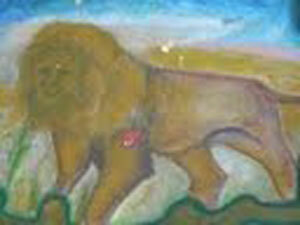 All photographs by Elissa Sampson, reproduced courtesy of the Author. Jonathan Boyarin is a philosopher and historian of religion. He is Professor of Talmudic Culture in the Departments of Near Eastern Studies and Rhetoric at the University of California, Berkeley. Is The Wolf of Wall Street ironic? Jonathan Lear: Isn’t It, Don’t You Think?